We have never accepted ‘good enough’ in our team. We have always taken risks and made bold decisions if we believed they would result in a better feature. The Live category on GTarcade desktop has been on its beta test for several months. We believe it's time for us to move the live project into its next step. 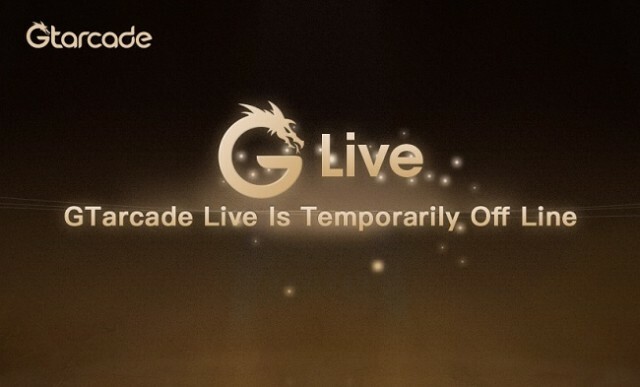 The Live category on GTarcade is just offline temporarily. We are trying to improve the live stream user experience and to bring you a better live stream watching experience by introducing more new features and new stream contents. If everything goes well, the new update of GTarcade Live will be online soon. Stay tuned. For those who have bought live stream gifts with G Points in the Points Store, we will return their points to their own point wallet within a week. For those who subscribed to live stream channels, we will return G Coins to their own G Coin wallet within a week as long as the subscription service is still effective. For those who love live streamers on GTarcade, please send your support to gtarcadelive@gmail.com to let us know which streamer you love best. If you have any questions regarding what are mentioned above or any other problems, please send your reports to gtarcadelive@gmail.com.